2017 is gone and 2018 has just started so has my ski season. I care for reevaluate what has been good and what I want to change, and the new year is a great time for it. I have a few matters I will change, for example to prepare my summer season a little bit more than I have normally done. The spring of 2017 was the first year after my knee operation (ACL), and because everything was working so brilliant, I could train as much as I wanted on skis, and never really got tired or felt week in the knee, I just assumed everything was as before the operation. But it was not. Normally I just put on my running shoes after 5 months of only skiing and I can run a 150 km week, but I learnt I couldn´t. Not even close. And I learnt I needed to do specific rehab exercise to get my knee working. For sure it´s never easy when you expect that your plan should work, as it always has, and then you find out it doesn´t work at all. But I learnt and I will try again. This was not the subject I had in mind writing about tough, my new year goals and resolution I can write another time, I was gonna write about my season ahead! Ski Mountaineering has exited me for many years. I love the sport, and I could probably write a whole page about it, but once again, it is not my plan to write about. It is about uncertainty. The thrilling scary feeling that you don´t really know what is going to happen. As an athlete, all the hours of training that I have been putting down, is it enough? If not, what should I change? How can I become a stronger athlete? Next weekend I will race my first World cup of the season here in Andorra. I have done my training, been focused and motivated, but is it enough? But, what is really enough? I choosed this picture in the post of me scrambling on a thin ridge in Norway- the terrain I love the most. I love to train in the mountains, summer and winter, and sometimes I wonder if I would be satisfied to only train, to not race? But it is something special to race with the best, to try to be the best versions of yourself, to see what is possible. And with racing comes the goals, the hopes, the aim. And the uncertainty with it. I guess this is the hard part, we need to find out by ourselves, what is enough, what I will become happy with, because in the end, what does matter? Writing this I feel so exited to race again, to push hard ski alongside the strongest women in the world, and that’s a pretty good beginning. And with this blog post, I hope to come back to how much I liked writing down a few thoughts, a happening, a good recipe or whatever small insight I´m thinking about. Because having a blog is like having a online diary- pretty awesome to look back, and pretty awesome to start writing and get the brain working in different directions, as it has in this post..
Hope you have some uncertainty to look forward to! I have, in one week! Uncertainty gives flavor to our lives! You have proven that you have very clear ideas of what you are and what your priorities have to be, your book is all about that. 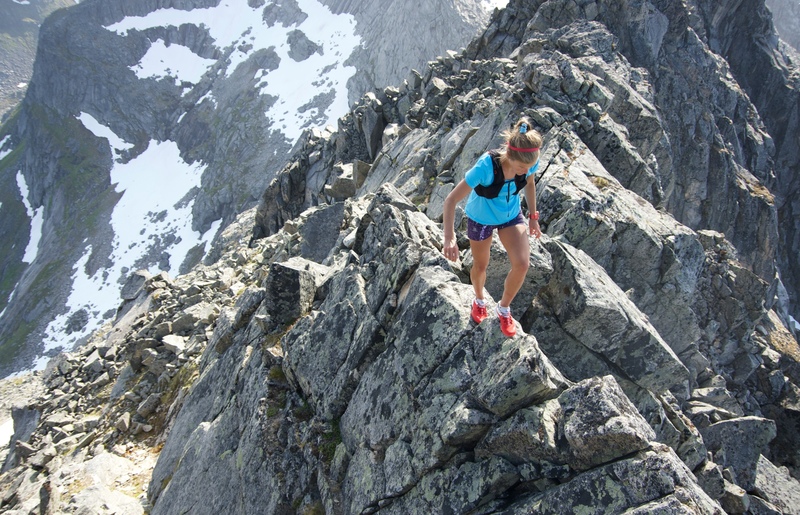 You are not only a first class athlete, you are a mountain lover. You do not only target winning races, your aim is always having fun and caring yourself, like that occasion when you where hit from behind while skimo racing and you made the decision to stop not to hinder your future health. Uncertainty does not mean lack of self confidence, it means ownership, responsibility and humility.